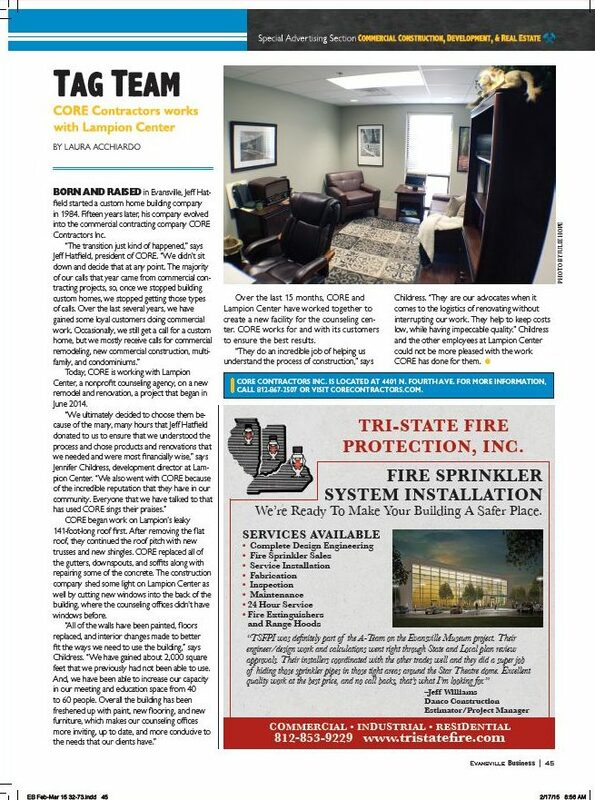 Featured in Evansville Business - Core Contractors Inc. Featured in Evansville Business - Core Contractors Inc. Recently, the Evansville Business Magazine featured an article of us in the Commercial Construction, Development, and Real Estate portion. The article, “Tag Team” displays the relationship between us and our clients at the Lampion Center. We would like to sincerely thank the Evansville Business Magazine and Jennifer Childress for taking the time to comment. It can be found on pg. 34 and 45 of the February/March 2015 edition of Evansville Business.